Accept all electronics, computers, computer accessories for recycling at no charge. 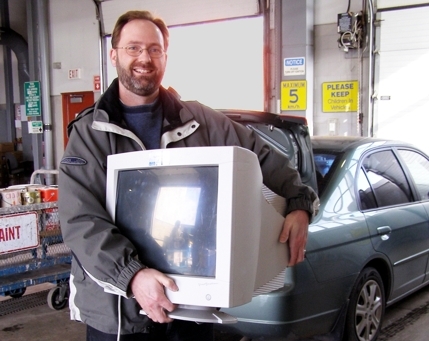 All e-waste delivered to Eco Stations and the Edmonton Waste Management Centre (EWMC) is processed at Global Electric and Electronic Processing Inc. (GEEP). Accepts segregated loads of electronics and electric waste for recycling at no charge if these are the only items in your load. If you have electronic waste mixed with other waste material, landfill charges will apply. If you are bringing 20 or more computer monitors please ensure they are on a pallet(s) and shrink wrapped.